One keen koala is ready for his first day of school. 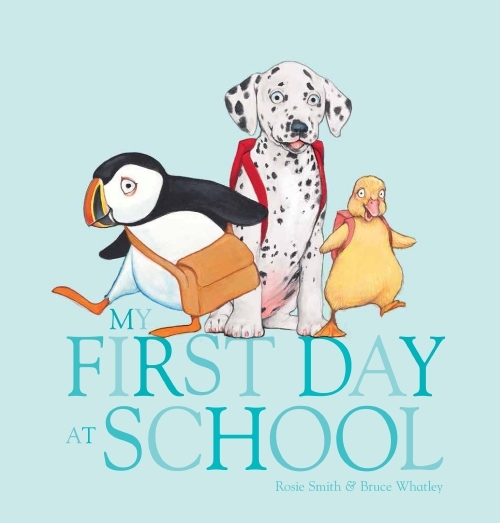 hH is joined by two perky penguins, three excited wallabies and so on, as they discover the fun of starting school. From posing for photographs, to meeting the teacher, to playing with paint and glue, having stories and, at the end of the day hurrying home to mum, the animals romp through the day. 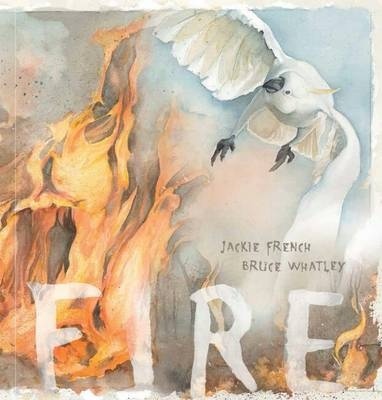 With rhyming text by Margaret Wild and joy-filled watercolour and pencil illustrations by Bruce Whatley, this is an offering sure to be embraced by youngsters starting school, and their parents. It will withstand repeated rereadings, and the simplicity of the text will encourage children to join in on rereadings. There once was a queen, a beautiful and clever queen, who was loved throughout her land. But when she looked in the mirror, when she wriggled her hips, her bottom wobbled just like a raspberry jelly. No matter what the Royal Lady-In-Waiting tells her, the Queen is sure that her people can’t possibly love her, because of her big wobbly bottom. So she offers ever increasing rewards for whoever can solve the problem of the royal wobble. But it’s hard – the royal beautician can’t fix it, the royal inventor can’t fix it, even the royal fitness instructor can’t do it. The Queen is about to despair, until the Poet offers a solution. The Queen doesn’t think it will work but, encourage by her Lady-In-Waiting she gives it a go. The Poet doesn’t fix the wobble but, after writing her poems of praise each day for thirty days, he fixes her self-perception. The Queen realises, at last, that she is loved, wobbly bottom or not. The Queen with the Wobbly Bottom is a delightful, humours picture book story about self-confidence, wobbly bottoms and the value of good poetry. The message is strong, but there’s no need for it to be hammered, because the humour and simplicity of the solution says it all.The illustrations show the cleverness we have come to expect from much-loved illustrator Bruce Whatley, with the Queen portrayed as a abuetifully round and regal hippopotamus, and her Lady-In-Waiting a clever-looking mouse, with the other court members a delightful array of animals. This is a picture book which youngsters will love both for the tale and for the chance to explore the illustrations, and educators and parents will also love the message. Poets (and lovers of poetry) will also adore that it is poetry that saves the day! As Christmas nears, the toy shop is filled with shiny new toys, which are quickly sold. But on the top shelf sits a wind-up toy, The Space Ride. The newer toys aren’t impressed with the Space Ride, but some of the older toys remember it and long to see it working again. The older toys had not forgotten the Space Ride. Buster could remember the first time he saw it in action. It whirred and whizzed, ready for take-off. It was magnificent. As Christmas nears, the toy shop is filled with shiny new toys, which are quickly sold. But on the top shelf sits a wind-up toy, The Space Ride. The newer toys aren’t impressed with the Space Ride, but some of the older toys remember it and long to see it working again. They set out o find the missing key which will start the Space Ride, and to prove to the newer toys just how exciting an old toy can be. Finding the key to wind Space Ride up is difficult, but finally they do it – in spite of disturbing the poor Shopkeeper. When they do wind the ride up there is surprise in store. Although the Space Ride isn’t quite as exciting as the old toys had remembered, everyone has the best Christmas Eve ever. Tin Toys is fabulous picture book for Christmas or any time of the year, about friendship, adventure and fun. 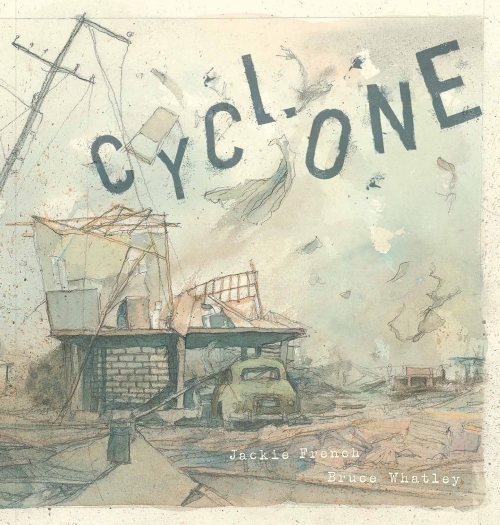 A collaboration between author/illustrator Bruce Whatley and his adult son, the digital illustrations have a three dimensional feel similar to animation in films such as Toy Story. Particularly pleasing is the use of different perspectives so that scenes which could have been visually repetitive given the small setting of a toy shop, are viewed from different angles. Nog has a pretty fine looking nose, reader’s will note, if size has any bearing. But Nog’s nose doesn’t do anything special. Everybody else in the land of Nog has a special nose which does something special – whether it’s a fat nose for sheltering others from rain, or a long nose for picking fruit, or even a nose for balancing things on. But Nog’s nose does nothing – it just sits there on his face. In the land of noses everyboydy’s nose was different and everybody had a nose that did something special. Nog has a pretty fine looking nose, reader’s will note, if size has any bearing. But Nog’s nose doesn’t do anything special. Everybody else in the land of noses has a special nose which does something special – whether it’s a fat nose for sheltering others from rain, or a long nose for picking fruit, or even a nose for balancing things on. But Nog’s nose does nothing – it just sits there on his face. Nog’s grandmother has been saying since he was a baby that he has a ‘nose for trouble’ but nobody understands what that means – until Nog smells an approaching pepper storm one day, and saves the whole land from being exposed – because in a land of spectacular noses, nothing could be worse than a pepper storm! Nog and the Land of Noses is recognisably a Bruce Whatley offering – whimsical, funny, yet subtly ‘right’ in its message that everyone has a purpose or talent. Whilst Nog hasn’t discovered his nose’s specialness, it seems more to worry him than it does those around him, so this is not so much a story of being accepted as it is a tale of self-acceptance and discovering one’s self worth. Whatley’s illustrations are, as always, a delight, with the whimsy of fantastically shaped noses complemented by fantastically shaped owners of those noses – some are bird like, others more like moles or elephants, but all beautifully rendered so that each character is distinct. The colour palette is a kind of gentle fruit salad , with lots of white space so the focus is on those characters. This is laugh out loud funny and will bear repeated readings.